for our anniversary this past wednesday, we both took the day off work in order to spend the day together. it's the first day off that we have both had in such a long time. we had a bunch of activities in mind of things that we would like to do on our day off, but all of them were outdoor activities and the forecast called for rain all day. 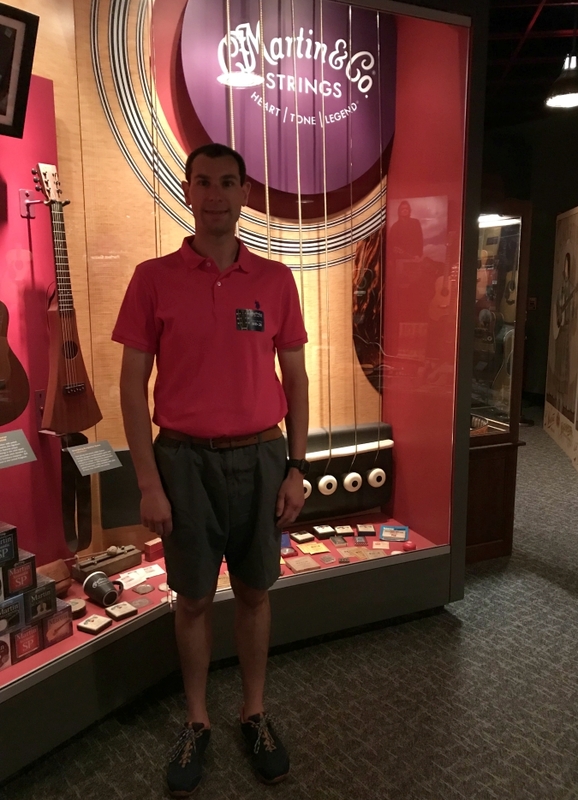 the only indoor activity that we could find that was open on a wednesday was the martin guitar factory tour, so we took a trip down to nazareth to see the factory. 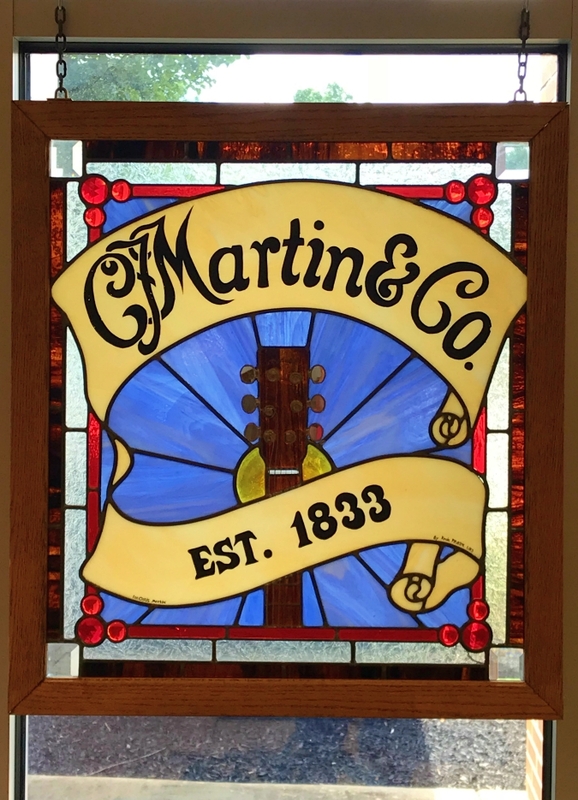 the martin guitar factory is located so close to where ryan grew up, and it has been on our list of things to do for years, but we never got around to checking it out until now. we started off by going through the museum before taking a guided tour of the factory. even though neither of us play the guitar, we both deal with them all of the time working in the theatre, so it was super interesting to see how they were made. i was amazed at the craftsmanship and how much of the process is still done by hand instead of by machine. the tour was great, and the factory had to have been the cleanest factory i have ever seen! as it turned out, it didn't rain while we were there and the weather was actually nice all day (go figure) but we had a great time (and were happy to enjoy the air conditioning inside too). many photos from our tour of the factory . . . I'm glad you were able to take this tour. It definitely is worth the trip. What a fun day! It was nice for the two of you to do something different.